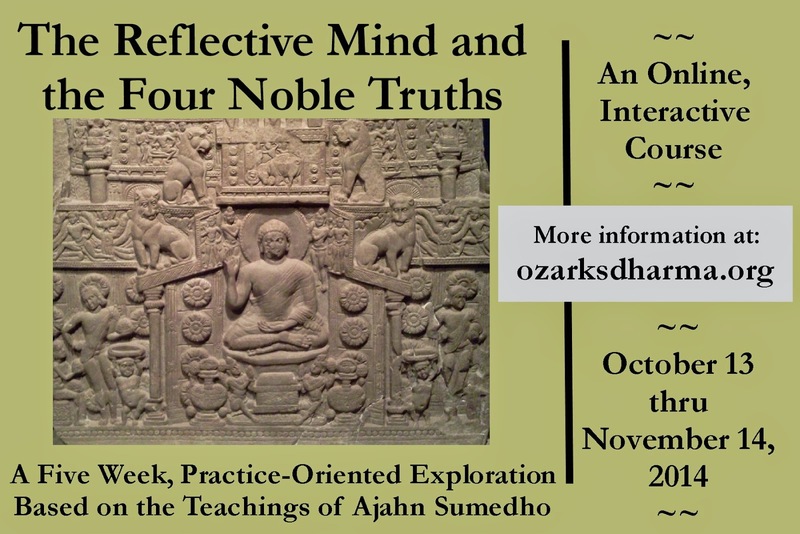 Our reflections will be organized around Ajahn Sumedho's short book, The Four Noble Truths. It is available online, without cost, in pdf or in HTML format. To participate in this course, each week you will be 1) meditating, 2) reading a chapter or article, 3) completing an activity, 4) posting reflections on the discussion forum, and 5) replying to at least one other participant's reflections. Participants will need access to the internet at least twice a week, a free Canvas student learning account, and a commitment to completing the readings, activities and discussions each week. There is no charge for participating in the class.